Nothing says Valentine's Day like chocolate. 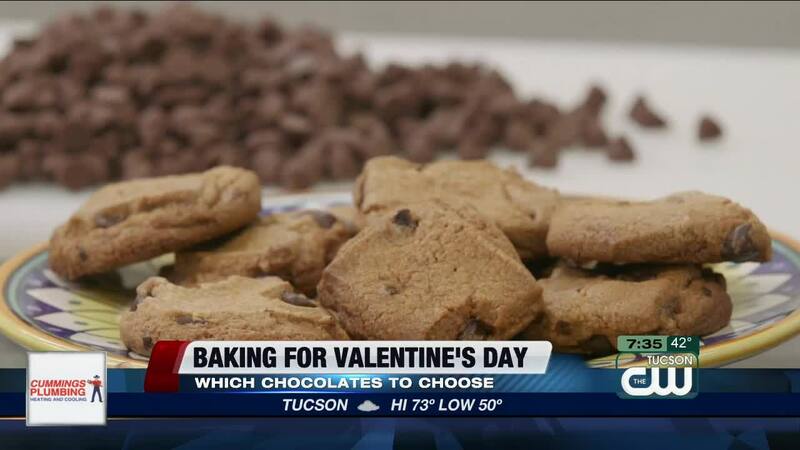 From unsweetened, to semisweet to white, Consumer Reports suggests which baking chocolate you should choose for your Valentine's Day desserts. The type of chocolate you should use depends on what you're making. Consumer Reports home editor and trained chef, Paul Hope's first tip -- you don't have to use the most expensive chocolate! "Paying more won't necessarily get you better tasting chocolate," says Consumer Reports Home Editor, Paul Hope. If you're gonna bake it into a recipe anyway chances most people won't be able to tell the difference. Instead, save the really fancy stuff for embellishments or snacking." CR says that baking chocolate, for even the most elaborate desserts, still comes from one of these categories. Cocoa powder is made of the "liquor" from crushed cocoa beans, processed to remove most of the fat and ground into a powder. It's easy to keep on hand due to its long shelf life, and can be used for hot chocolate, and a variety of desserts. Semisweet or bittersweet chocolate is made with sugar and at least 35% chocolate liquor. These are great for brownies, cakes and dipping. You'll see a lot of "white baking chips" or "morsels" in the baking aisle, but real white chocolate contains cocoa butter. So, check the label. And milk chocolate is made with milk solids along with added sugar and fat. It's sweet flavor is best for desserts where the taste can stand on its own.